Although a dystopian of a sort, and set far in the future of its writing, Notting Hill is an unusual specimen of speculative fiction. Still, Notting Hill shares one great commonality with many better-known works of speculative fiction: It explores the present through the future. The glory of speculative fictio n is that it is, more than other popular genres, about ideas, and Notting Hill is about nothing if not an idea. Chesterton was British, so no doubt his book is very British. Is that something we must now campaign against? Or I should I make a joke about engaging in unAmerican activities by being pro-British? 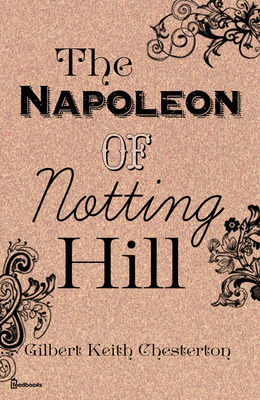 I read THE NAPOLEON OF NOTTING HILL a number of years ago, but couldn’t have told you one thing about the characters or the plot — this makes me think I ought to try it again. 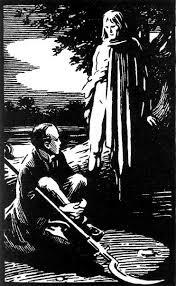 My favorite Chesterton novel is still THE MAN WHO WAS THURSDAY, which I have read multiple times and which, I think, holds up much better as an Actual Story than NoNH does.